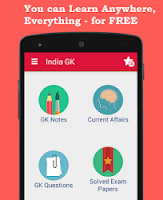 Current Affairs MCQs of 25, 26 July 2015: Current Affairs Daily Multiple Choice Questions (MCQs) for India GK, World GK and current affairs with Collection of daily objective type Question by www.Indiagk.net based on General Knowledge (GK) and General Science (GS) Questions for UPSC, State PSC, SSC, Police exam, Railway exam, SBI, Bank PO, IBPC, SSC, LDC, UDC, Army, Airforce, Navy, Coast Guard, Bank Clerk, TET and all entrance examination with current affairs News, Multiple Choice Questions (MCQs) available on Website www.IndiaGK.net and Android Apps with daily updates:. Deendayal Upadhyaya Gram Jyoti Yojana was lauanched on 25th July 2015 at ? Deendayal Upadhyaya Gram Jyoti Yojana was lauanched by ? India's longest road tunnel, being built on ____ National Highway, will become operational from July 2016? Bijoy Krishna Handique who passed away recently was ? Delhi court on Saturday discharged which player from IPL Spot fixing ? Earth-like planet found by NASA's Kepler telescope ........... ? Prime Minister's Radio programme ‘Mann Ki Baat’ on 26th July was based on ? Kalpataru Das who passed away recently was ?